Tyrone Barnett has moved from Posh to Shrewsbury. Tuesday, 8am: Chairman Darragh MacAnthony has accused an unnamed Championship club of failing to make scheduled transfer payments worth millions to Peterborough United. MacAnthony took to Twitter to explain to Posh fans why his club have not been able to make any transfer deadline day signings. He blamed a Championship club for reneging on a payment plan. MacAnthony declined to name names, but it’s understood Nottingham Forest are the club in his sights. Nottingham Forest purchased striker Britt Assombalonga from Posh for £5.5 million in August and claims have surfaced today (February 3) that £1.5 million of that fee is now overdue. Forest have form for messing Posh about over a transfer - they pulled out of a deal to sign George Boyd at the last minute in January 2013 claiming the player had failed an eye test. Forest are owned by welathy Kuwaiti businessman Fawaz Al-Hasawi. “This same club did this to us in August and now again. Truthfully it’s a disgrace and their chairman is the same. It has put us last minute in a terrible predicament which I shall now fix and once the loan window opens, we shall bring in a couple of players to help the squad. “It’s also a shambles the Football League allow this nonsense to carry on and not for the first time. I’m also sure we are not only club who it’s happened to, but the knock on effect is outrageous and doesn’t help a club like Posh that’s for sure! Posh did finally get rid of million-pound striker Tyrone Barnett last night (February 2). He has joined League Two leaders Shrewsbury for an undisclosed fee after ‘The Shrews’ matched Posh’s six-figure valuation of the 29 year-old. Posh have been keen to off-load Barnett for the last 18 months. He was one of the biggest wage earners at the club. Posh will have taken a substantial hit on the club record £1.1 million they paid for him in February 2012. Barnett still had another full season left on his Posh contract. Barnett scored just 12 goals for Posh. He made 63 appearances for the club, 42 as a starter. Barnett’s departure will help free up some cash for incomings at the ABAX Stadium, but Posh are happy to wait for the loan transfer window to open on February 9 before making a move. Posh have already completed the transfer of Harry Beautyman from Welling United and signed goalkeeper Scott Loach and striker Aaron Mclean on loan from Rotherham and Bradford City respectively in the January transfer window. Ferguson is trying to attract a midfielder and a central defender to the club. He’s now been told he can have Leyton Orient central defender Mathieu Baudry for a fee after the clubs had previously agreed to a loan deal. Posh are unlikely to offer cash for a 26 year-old who was back in the Orient first team at the weekend (January 31), as part of a side that lost 4-1 at home to Scunthorpe. 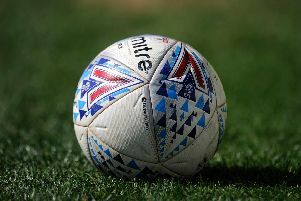 Ten League One clubs - Chesterfield, Preston, Port Vale, MK Dons, Oldham, Leyton Orient, Walsall, Sheffield United, Bradford City and Coventry - made signings on transfer deadline day. The transfer window closed for permanent deals at 11pm in England. The £5 million sale of brilliant MK Dons midfielder Dele Alli to Spurs was the stand out sale, although the player has immediately been loaned back to Dons for the rest of the season. Chesterfield lost League One’s top scorer Eoin Doyle to Championship club Cardiff for £750,000. Posh failed to get winger Nathaniel Mendez-Laing out of the club. He turned down two loan moves in the last few days, one was believed to be to League One promotion chasers Bradford City.